All Windows operating system users know the default multimedia player that has accompanied all the different versions of this operating system over the last decade, which is known as Windows Media Player and allows us to play audio and video files using a very simple interface. 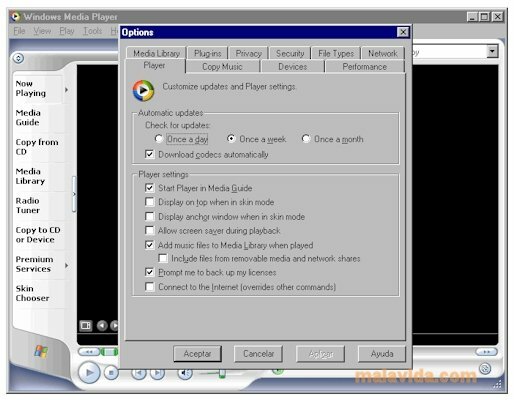 Windows Media Player 9 appeared on the market providing many new elements to the user, like the possibility to apply skins (that allowed us to change the appearance of the player), create playlists, use diverse formats to view the waveform or use the integrated intelligent equalizer to improve the sound of our files. The program also allows us to create our own multimedia library from which we can access all the files that we have stored on our computer and copy all our music CDs onto the computer to expand it. 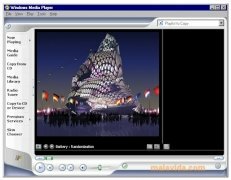 If you want a media player that offers you all the guarantees of a development company like Microsoft, download Windows Media Player 9 for free. This application is only compatible with Windows 98 SE, Windows ME and Windows 2000.